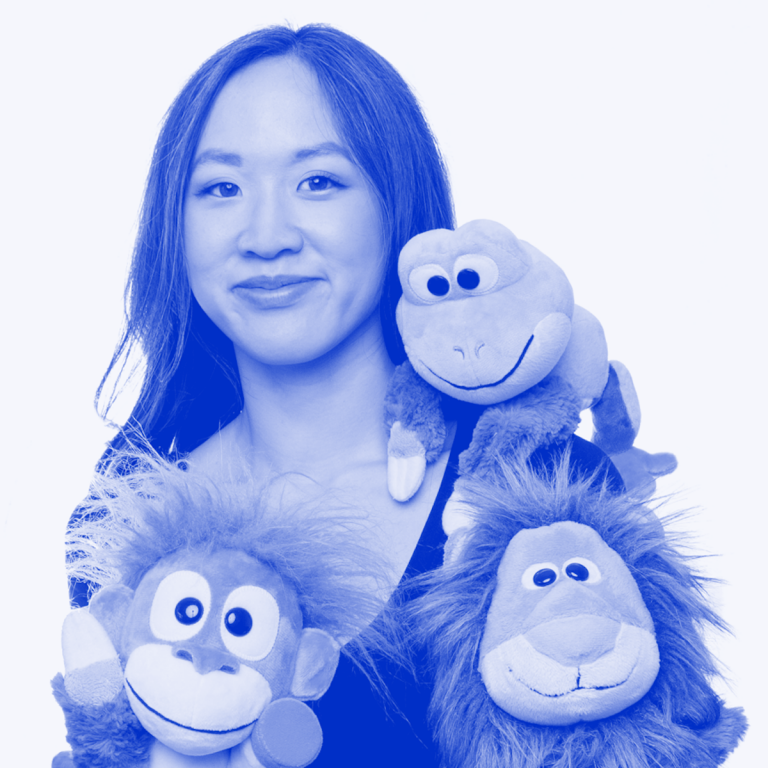 Marissa Louie is CEO & Chief Designer at Animoodles, and has a background in entrepreneurship and design. She is a founder of the Designer’s Guild, and previously was a designer at Apple, Yahoo, and Ness. Marissa has had soft spot for stuffed animals since she was born, and has thought about how to make them better since she was a kid. 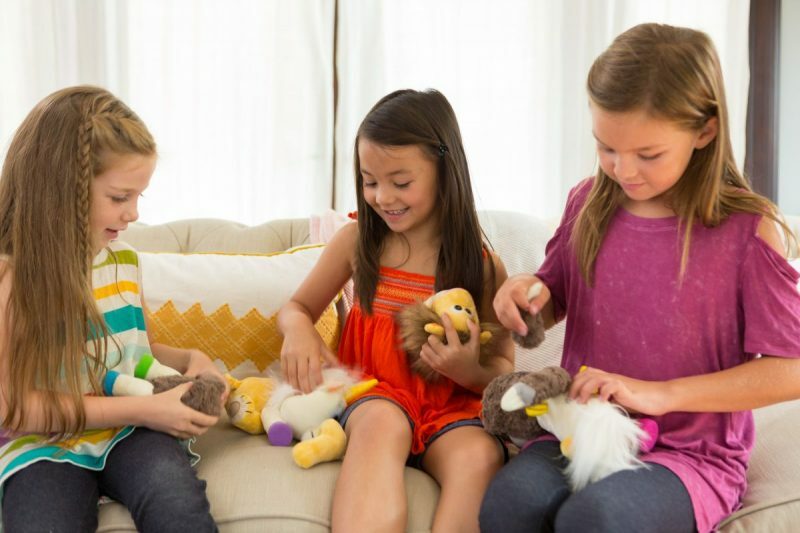 She co-created Animoodles to redefine what stuffed animals are. They aim to captivate kids to help them imagine, explore, and create like never before. 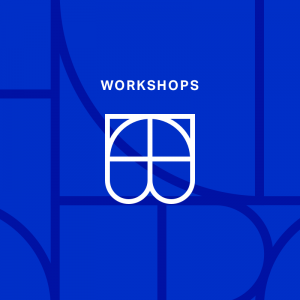 Eli Woolery: Marissa Louie, welcome to Conversations on DesignBetter.Co! Eli Woolery: You’re an entrepreneur, designer, and you also helped start and run two communities on Facebook, First Designer, as well as Designer’s Guild—we’ll talk a little bit more about that later. Over the years, I’ve had a couple entrepreneurial adventures and misadventures, and I’m curious from your perspective, what are some core skills designers possess that can make them good entrepreneurs? Marissa Louie: I think any professional who is worth their salt has exceptional critical thinking skills. I’ve been able to apply design thinking to being an entrepreneur in particular ways that really make a difference in the perception of our brand for Animoodles, as well as in creating communities and engaging people in something that’s helpful to them or interesting to them. I think that any professional who is worth their salt has exceptional critical thinking skills. At the root of everything, though, is just independent critical thinking and problem solving that great designers have—that they can’t just design pretty pixels or perfect line stitches or compelling experiences. They also think about the role of what they’re designing in society and think about how they can design meaningful experiences that make a difference in real lives. Eli Woolery: What are some ways you think designers can further develop those critical thinking skills? Marissa Louie: I can speak from my personal experience. I love to listen to podcasts and read blogs. I highly recommend InVision’s podcasts and blog for such reading, for example. Just read a lot of books, watch YouTube tutorials, and take online classes. I frequently take courses on Coursera and Khan Academy. I’m always enriching my knowledge in certain disciplines that are related to my work as an entrepreneur. It’s not necessarily all in design—I also learn about manufacturing, I learn about creative writing, I learn about art direction, I learn about so many things related to my work, but it isn’t necessarily about design. I’m able to build all that knowledge into this repertoire of being able to solve problems from lenses of different disciplines that I’m learning about along the way. Eli Woolery: We’ll come back to resources because I usually wrap up these chats with a few of those. For now, I want to go to your recent products, Animoodles, which my kids and I love. Eli Woolery: We were lucky enough to participate in your Kickstarter campaign, which was a lot of fun. I want you to walk me through the process of creating and launching Animoodles—you mentioned design thinking. Could you highlight any areas where design and design thinking played a role? Marissa Louie: Yes, in so many ways. Animoodles is a design-led product. We’re also a design-led company given that I’m at the helm and really make the space for our designers and artists to lead the way in terms of creative, new product development, and how we express Animoodles in the world. It’s very much informed and led by our design and art team. In terms of the creative process for Animoodles, as you can imagine, making a physical product, especially a physical product that has never exactly been done before has been quite a journey. We developed Animoodles for about three years before we launched on Kickstarter in mid-October 2017. 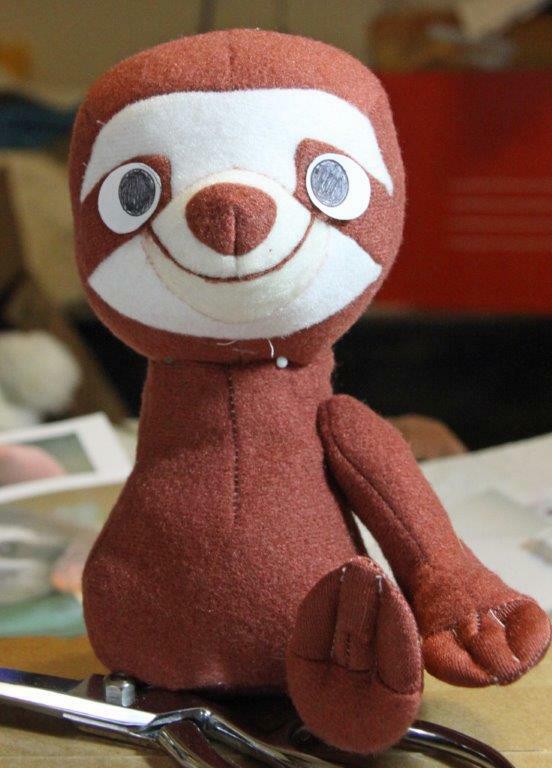 An early prototype of Hazel Sloth. I tried to take the pressure off of myself to try to break barriers from the get-go and just said, “Okay, what would be silly, or what would be something that I’ve never seen before?” At that point, it didn’t matter whether or not it was commercially viable or if people liked it. I went to the drawing board and I came up with more than 50 ideas for stuffed animals. A lot of the ideas were just automatic no’s, and halfway through drawing some of them I kind of felt like stopping because I just knew they weren’t great. I noticed I drew hybrid animals in a lot of my drawings. I didn’t quite know what was appealing about that, it was just something I gravitated toward. At dinner one night with my husband, Corey Reese, who is one of three co-founders, we were spitballing ideas and imagining things in our heads, not even sketching anything out. I was visualizing parts of a stuffed animal coming apart and coming back together, and being able to mix with other stuffed animals. So that’s how we came up with the idea. Like any good designer, I tested this idea by prototyping it by hand. Then Corey and I took all the prototypes we made across the country to six cities to test with children. We tested Animoodles in a form that’s very close to what we have today, but I also had some of my seamstresses make Velcro versions. I tested other old product lines from the ‘80s or ‘90s too. They had plastic snaps or external magnet buttons you could visibly see, instead of the magnets hidden inside of the stuffed animals like in Animoodles. We did blind testing. We cut off all the tags, we didn’t tell the kids whose is what. They didn’t know, but they actually had two different products from us, and then also a few from other companies. They had no idea what was going on in that sense, and Animoodles tested the best by far. It was kind of crazy because it was a combination of factors: it was the character design, it was the materials, is was the fact that the magnets were hidden, and the kids just didn’t like the visible magnets, they didn’t like the Velcro, they didn’t like the plastic snaps. A view of the hidden magnets. We also used playtesting with kids and parents to inform branding, packaging, the product name, the story of the characters, and which characters we would launch with. To do this, we had our testers rank their favorites. We noticed that a lot of kids, even while kind of asking questions and describing what they were doing, played with the Animoodles for over half an hour straight—some even for the entire testing session. A couple kids didn’t want to go home. They would start crying or try to trade their own personal stuffed animal for our prototype. Eli Woolery: It’s always good when you can get the kids to cry, that’s an indication of success. It was really interesting because previously, when I was a designer at Apple and Yahoo, we were never going to get that kind of response from people, from adults, right? With kids, it’s totally unfiltered and they fully express their emotions and their likes and dislikes. I had never seen such a reaction. A lot of the parents were just wowed and amazed. What’s really interesting about Animoodles is the first time someone sees one, they think it’s a regular stuffed animal. Then I encourage them to kind of play with it. 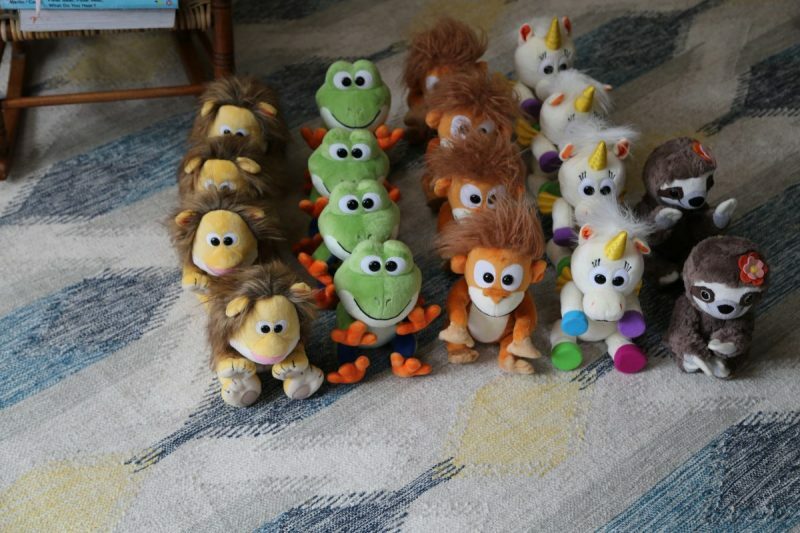 It’s in this moment of creativity and laughter and joy that they realize, “Oh, can I do this with the other stuffed animals that you have?” Then they start mixing and matching Animoodles parts, and they’re so proud of their creations and what they made. Then the toy becomes something they’re proud of, it’s something they can use as a fun joke to make other kids laugh or kind of surprise them. Because they’re magnets, kids can also stick Animoodles on metal surfaces. There are so many things they discover. There’s that surprise and delight factor. We built that into the brand. We follow this character design exploration, where I write five to 15 pages of who the character is, how they fit into the story, what land they’re from, and we compile it all. It’s a similar method to what animation studios do when the director of a major animated film writes out the story and details about the characters. We do that in a kind of compressed format. Dan Holland, our character designer and lead artist, spent 15 years at Pixar working on Inside Out, The Incredibles, WALL-E, Up, Toy Story, Cars, and so many other amazing films. He was as either a character designer, art director, or designing the sets and props. Now, he takes my description of who the character is and turns it into magical, wonderful drawings. We pick and prod to come up with the final character design, and then we turn that into a physical prototype. Our seamstress, who is amazing and has done character plush prototyping for Disney, Universal, Hasbro, Mattel, Jim Henson, and all the major studios, turns it into this great plush. The difference between us and an animated movie studio is that we’re designing characters to look like great plush first, rather than to look like characters for the major animated movie screen. We’re optimizing it to be a great product, a physical product first. Sketches from the Animoodles design process. We also go through an art exercise where we render the stuffed animal in illustrated form. We have a great artist, formerly from Pixar, who helps illustrate that, and also another team member who’s a former senior art director from Disney, who sets the look and feel of a lot of that stuff. We have the illustrated look, we have photography, we have a rigorous fabric selection process, and we also do packaging. Before this, I had never designed a package in my life, but I was able to apply what I knew as a former art director and digital experience designer to a flat package. I drew out more than 100 different package ideas. I made about 30 of the packages using just card stock and an X-Acto knife, then gluing, taping, and folding things into packages. There’s more to all this, but that’s kind of a high-level summary of the creative process that goes into Animoodles. Then we launched on Kickstarter, which helped us raise $100,000 and hopefully set us up for future success. Eli Woolery: That’s great. I really love that story, and I think there are some great learnings in it. We teach design thinking almost as a linear process—so start with empathy and define the problem and ideate. I don’t think in the real world, or an entrepreneurial setting, that linear process works all that well. What you did, is start at the hypothesis or product that you wanted to create, you ideated, you created all these different ideas, including bad ones, so you had a very divergent process there. Then, you went and made prototypes and tested. You essentially used design thinking as a toolkit, which is the way it’s more often used in the real world. I think that’s a great takeaway. We just have a couple minutes left, and I wanted to quickly touch on the design community and Designers Guild. Could you share a few words about what that is, and how you’re making a community for designers there? That’s a big part of what we want to InVision to help do—make a welcoming, supportive community for designers. Marissa Louie: I started Designers Guild more than three years ago, kind of on a whim. I thought about how there wasn’t a place online (that I knew of) where I could be real about challenges on the job, receive support, give support to fellow designers. I wanted a place where designers could help each other level up in their careers, get mentorship, give mentorship, share opportunities with each other, and just really help each other out and be a community. There wasn’t a focused community with vetted designers who were either professionals or students pursuing design. I wanted a place where designers could help each other level up in their careers, get mentorship, give mentorship, share opportunities with each other, and just really help each other out. I started by adding maybe to 200–300 designers I knew in person and online to a group I created on Facebook. I just threw up a quick logo on the page and people started to share real things that they were going through. It was really cool. Now, we’re at more than 12,000 members around the world. It’s a great place for all kinds of designers—industrial, fashion, packaging, products, UI, UX, AR, VR, architecture, art, animation. We have all kinds of designers and skills, and we’re helping each other out on a frequent basis. It’s pretty much an open forum where people can post questions or thoughts or challenges, and share that with this vetted community. There’s an open mix of really talented people all helping each other out. That was always our goal. I co-admin with Tanner Christensen, Brad Monahan, and Stedman Halliday, who are all great designers. Between the four of us, we have different perspectives and experience levels helping represent the group. It is home to some really fantastic discussions that I still haven’t seen anywhere else. Eli Woolery: That’s phenomenal. To wrap up, can you name one book or blog or podcast that you find to be a great resource, either as a designer or as an entrepreneur? 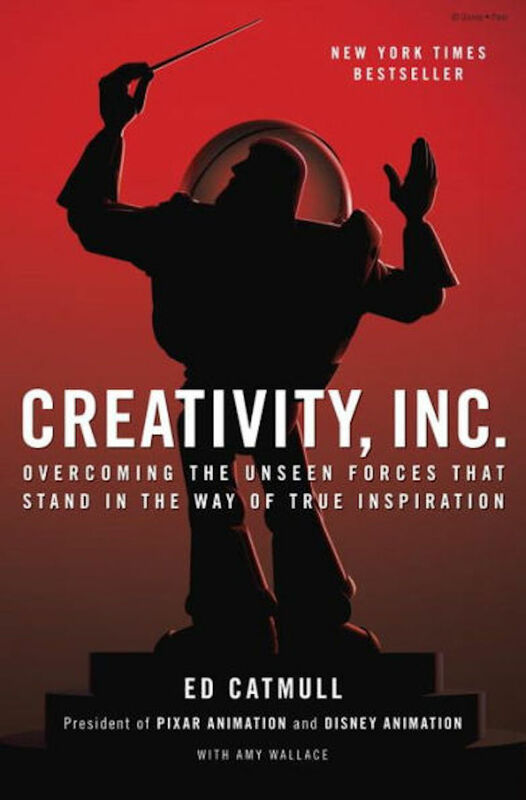 Marissa Louie: I think Creativity, Inc: Overcoming the Unseen Forces That Stand in the Way of True Inspiration by Amy Wallace and Ed Catmull from Pixar is a fantastic book whether you’re a creative, a designer, or an entrepreneur. 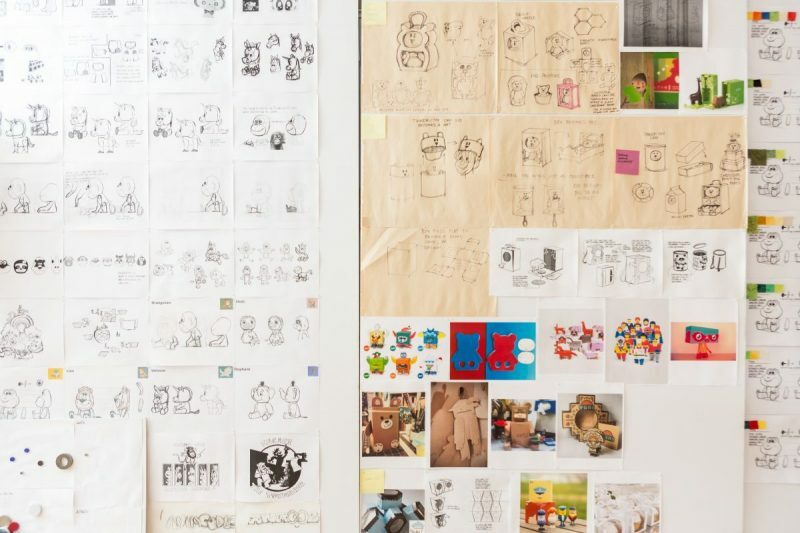 Talking about how healthy creative organizations work, and using Pixar as an example, is really inspiring to see. I particularly liked reading about how they set up creatives for success, encourage them to voice what they care about, and also how they elevate the voices of those who tend to be a bit more reserved. It also explains what creatives can look for in a healthy, well-functioning creative organization. Eli Woolery: Awesome. Thank you so much Marissa, we’re so excited to have you here and have Animoodles out in the world. Marissa Louie: Thank you, thank you so much for having me. Still looking for more awesome content? Here’s what we’ve put together for you. 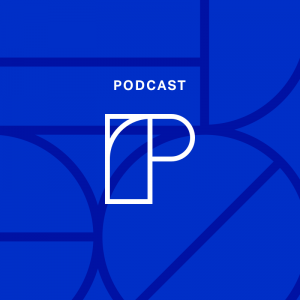 In each episode, we sit down with design leaders from companies like Shopify, Airbnb, Sonos, Pinterest, and more, to discuss popular themes in the design world. Bring the insights and lessons of DesignBetter.Co to your team! Starting in Fall 2017, we’ll offer multiple workshops in design thinking, practice, and more. 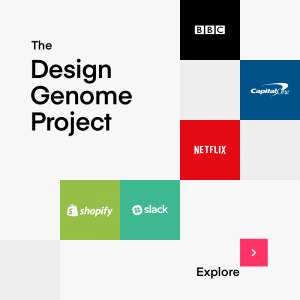 Explore the DNA of the world’s most successful product design teams through this special collection of research reports on Netflix, Slack, Capital One, and more.